The First Boer War (Afrikaans: Eerste Vryheidsoorlog, literally "First Freedom War"), also known as the First Anglo-Boer War, the Transvaal War or the Transvaal Rebellion, was a war fought from 16 December 1880 until 23 March 1881 between the United Kingdom and the South African Republic (also known as the Transvaal Republic; not to be confused with the modern-day Republic of South Africa). The war resulted in defeat for the British and the second independence of the South African Republic. 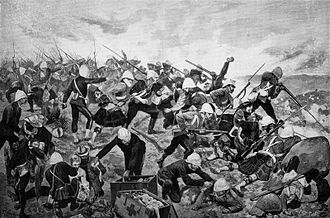 British attempts in 1880 to annex the Transvaal represented their biggest incursions into southern Africa, but other expansions also occurred. In 1868 the British Empire annexed Basutoland (modern Lesotho in the Drakensberg Mountains, surrounded by the Orange Free State and Natal), following an appeal from Moshesh, the leader of a mixed group of African refugees from the Zulu wars who sought British protection against both the Boers and the Zulus. In the 1880s, Bechuanaland (present-day Botswana, located north of the Orange River), became an object of dispute between the Germans to the west, the Boers to the east, and the British in the Cape Colony to the south. Although Bechuanaland had at the time almost no economic value, the "Missionaries Road" passed through it toward territory farther north. After the Germans annexed Damaraland and Namaqualand (modern Namibia) in 1884, the British annexed Bechuanaland in 1885. Following the Battle of Blaauwberg (1806) Britain had officially acquired the Cape of Good Hope in South Africa from the Dutch in 1815 after the Napoleonic Wars. Certain groups of Dutch-speaking settler farmers ("Boers") resented British rule, even though British control brought some economic benefits. Successive waves of migrations of Boer farmers (known as Trekboers which literally means "moving farmers"), probed first east along the coast away from the Cape toward Natal, and thereafter north toward the interior, eventually establishing the republics that came to be known as the Orange Free State and the Transvaal (literally "across/beyond the Vaal River). The British did not try to stop the Trekboers from moving away from the Cape. The Trekboers functioned as pioneers, opening up the interior for those who followed, and the British gradually extended their control outwards from the Cape along the coast toward the east, eventually annexing Natal in 1843. 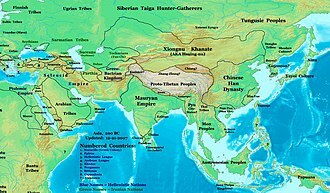 The Trekboers were farmers, gradually extending their range and territory with no overall agenda. The formal abolition of slavery in the British Empire in 1834 led to more organised groups of Boer settlers attempting to escape British rule, some travelling as far north as modern-day Mozambique. Indeed, the British subsequently acknowledged two new Boer Republics in a pair of treaties: the Sand River Convention of 1852 recognised the independence of the Transvaal Republic, and the Bloemfontein Convention of 1854 recognised the independence of the Orange Free State. However, British colonial expansion, from the 1830s, featured skirmishes and wars against both Boers and native African tribes for most of the remainder of the century. The discovery of diamonds in 1867 near the Vaal River, some 550 miles (890 km) northeast of Cape Town, ended the isolation of the Boers in the interior and changed South African history. The discovery triggered a diamond rush that attracted people from all over the world, turning Kimberley into a town of 50,000 within five years and drawing the attention of British imperial interests. In the 1870s the British annexed West Griqualand, site of the Kimberley diamond-discoveries. In 1875 the Earl of Carnarvon, the British Colonial Secretary, in an attempt to extend British influence, approached the Orange Free State and the Transvaal Republic and tried to organise a federation of the British and Boer territories modelled on the 1867 federation of the French and English provinces of Canada. However the cultural and historical context differed entirely, and the Boer leaders turned him down. Successive British annexations, and in particular the annexation of West Griqualand, caused a climate of simmering unease in the Boer republics. There were also serious tensions between the Transvaal Republic and the Zulus led by King Cetshwayo. The Zulus occupied a kingdom located to the southeast, bordered on the one side by the Transvaal Republic and on the other by British Natal. 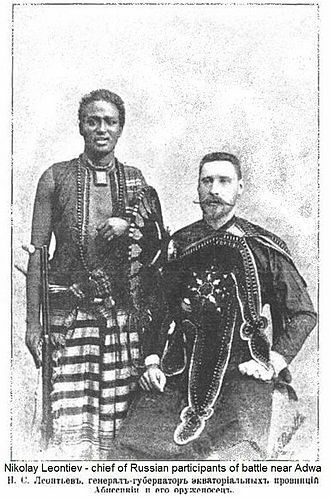 Upon taking the throne, King Cetshwayo had expanded his army and reintroduced many of the paramilitary practices of the famous Shaka, king of the Zulus. He had also started equipping his impis with firearms, although this was a gradual process and the majority had only shields, knobkerries (clubs), throwing spears and the famous stabbing spear, the Iklwa. Over 40,000 Zulu warriors were a formidable force on their own home ground, their lack of modern weaponry notwithstanding. King Cetshwayo then banished European missionaries from his land, and there were suggestions that he might also have become involved in inciting other native African peoples to rebel against the Boers in the Transvaal. The Transvaal Boers became more and more concerned, but King Cetshwayo's policy was to maintain good relations with the British in Natal in an effort to counter the Boer threat. The British infantry uniforms at that date were red jackets, dark blue trousers with red piping on the side, white pith helmets and pipe clayed equipment, a stark contrast to the African landscape. The Highlanders wore the kilt. The standard infantry weapon was the Martini-Henry single-shot breech-loading rifle with a long sword bayonet. Gunners of the Royal Artillery wore blue jackets. The Boer marksmen could easily snipe at British troops from a distance. The Boers carried no bayonets, leaving them at a substantial disadvantage in close combat, which they avoided as often as possible. Drawing on years of experience of fighting frontier skirmishes with numerous and indigenous African tribes, they relied more on mobility, stealth, marksmanship and initiative while the British emphasised the traditional military values of command, discipline, formation and synchronised firepower. The average British soldier was not trained to be a marksman and got little target practice. What shooting training British soldiers had was mainly as a unit firing in volleys on command. 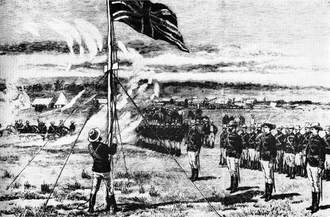 The Boer uprising caught the six small British forts scattered around the Transvaal by surprise. They housed some 2,000 troops between them, including irregulars with as few as fifty soldiers at Lydenburg in the east which Anstruther had just left. Being isolated, and with so few men, all the forts could do was prepare for a siege, and wait to be relieved. 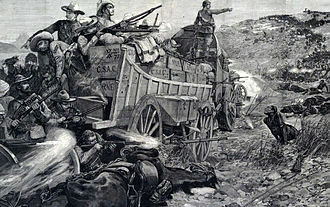 By 6 January 1881, Boers had begun to besiege Lydenburg. The other five forts, with a minimum of fifty miles between any two, were at Wakkerstroom and Standerton in the south, Marabastad in the north and Potchefstroom and Rustenburg in the west. Boers begun to besiege Marabastad fort on 29 December 1880. The First Boer War was the first conflict since the American War of Independence in which the British had been decisively defeated and forced to sign a peace treaty under unfavourable terms. It would see the introduction of the khaki uniform, marking the beginning of the end of the famous Redcoat. The Battle of Laing's Nek would be the last occasion where a British regiment carried its official regimental colours into battle. Overall, Boer guerrilla tactics involving mobility, marksmanship and high use of defensive positions proved vastly superior for the new age of breech-loading rifles and are recognised as the harbinger of future combat. ^ Raugh 2004, p. 267. ^ "Slavery is abolished at the Cape". South African History Online. Retrieved 14 April 2013. ^ Pakenham 1991, pp. 86–107. ^ Gross 2014, pp. 169–174. ^ "Lt.-Col. Philip Robert Anstruther". The Peerage. Retrieved 29 October 2012. ^ Norris-Newman 1882, p. 249: The fifty men left here are here, it is understood, simply for the protection of Government stores, not for the defence of the town. ^ Gough Palmer 1980: On 29 December news of the disaster at Bronkhorstspruit was received, and he was instructed to defend the Fort against attack, in which regard he took immediate steps. Gough Palmer, M. (December 1980). "The Besieged Towns of the First Boer War, 1880–1881". South African Journal of Military History. 5 (2). Retrieved 18 December 2013. Gross, David M. (2014). 99 Tactics of Successful Tax Resistance Campaigns. Picket Line Press. ISBN 978-1-4905-7274-1. Norris-Newman, Charles L. (1882). With the Boers in the Transvaal and Orange Free State 1880-81. London: Abbott, Jones & Co. hdl:2263/12714. Pakenham, Thomas (1991). The Scramble for Africa: 1876–1912. Random House. ISBN 978-0-394-51576-2. Raugh, Harold E. (2004). The Victorians at War, 1815-1914: An Encyclopedia of British Military History. ABC-CLIO. ISBN 978-1-57607-925-6. Castle, Ian. Majuba 1881: The Hill of Destiny Osprey Publishing (1996). Laband, John. The Transvaal Rebellion: The First Boer War, 1880–1881 (Routledge, 2014). Laband, John. 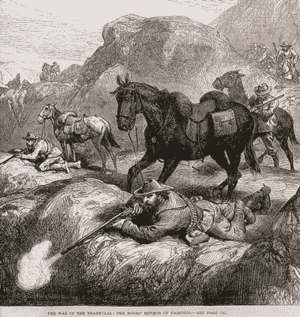 The Battle of Majuba Hill: The Transvaal Campaign, 1880–1881 (Helion and Company, 2018). Lehmann, Joseph H. The First Boer War London: Jonathan Cape (1972). Ransford, Oliver. The Battle Of Majuba Hill The First Boer War (1968). The First Franco-Dahomean War, which raged in 1890, was a conflict between France, led by General Alfred-Amédée Dodds, and the Dahomey under King Béhanzin. The French emerged triumphant after winning the Battle of Abomey, at the close of the 19th century, European powers were busy conquering and colonizing much of Africa. In what is today Benin, the colonial power was the French Third Republic. The French had established ties with the indigenous peoples of the area including one of West Africas most powerful states at the time. In 1851, a Franco-Dahomean friendship treaty was ratified allowing the French to operate commercially, by 1890, the Fon kingdom of Dahomey was at the height of its power. It laid claim to almost all the coast of modern Benin plus much of south-central Benin as far north as Atcheribé, one of Dahomeys most important tributaries was the small kingdom of Porto-Novo near the coast. The kingdom had been at odds with Dahomey on and off since the middle of the 18th century, in 1861, Porto-Novo was attacked by British anti-slaving ships. 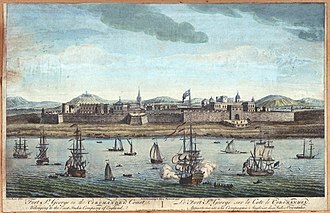 Porto-Novo asked for and received French protection in 1863, but this was rejected by Dahomey, another issue of contention was the status of Cotonou, a port the French believed was under their control because of a treaty signed by Dahomeys representative in Whydah. Dahomey ignored all French claims there as well and continued to collect customs from the port, in 1874, King Tofa took power in Porto-Novo and re-established French protection over the kingdom after Dahomey attacked it in 1882. 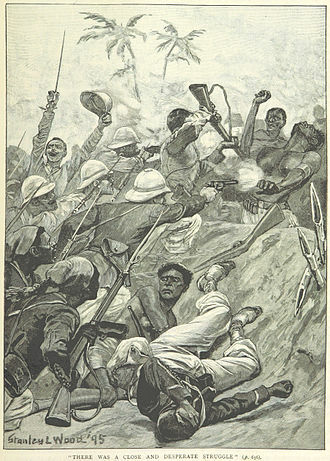 Dahomey continued raiding the town, which culminated in an incident that brought the Fon, in March 1889, Dahomey attacked a village on the Ouémé where a village chief under the protection of the French. After remarking that the flag of the tri-color would protect him, in March of that year, France sent a mission to Dahomeys capital of Abomey to assert its claims to Cotonou and offer an annual payment. 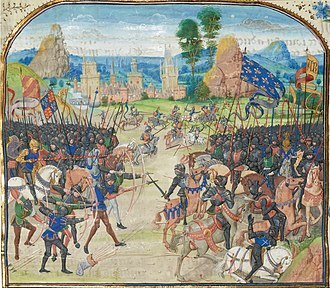 The crown prince and king Béhanzin received the mission but nothing was achieved other than mutual distrust, France responded to these events by building up its force in Cotonou to 359 men,299 of which were Tirailleurs or French trained Senegalese and Gabonese. The French emerged triumphant and incorporated Dahomey into their growing colonial territory of French West Africa. The Fon ceased hostilities with the French after two defeats, withdrawing their forces and signing a treaty conceding to all of Frances demands. However, Dahomey remained a potent force in the area and quickly re-armed with modern weapons in anticipation of a second, after re-arming and regrouping, the Fon returned to raiding the Ouémé Valley, the same valley fought over in the first war with France. 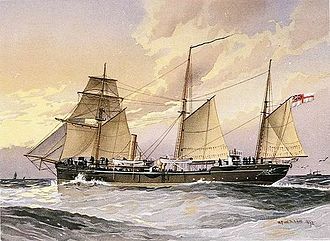 Victor Ballot, the French Resident at Porto-Novo, was sent via gunboat upriver to investigate and his ship was attacked and forced to depart with five men wounded in the incident. King Benhanzin rejected complaints by the French, and war was declared immediately by the French, the French entrusted the war effort against Dahomey to Alfred-Amédée Dodds, an octoroon colonel of the Troupes de marine from Senegal. Colonel Dodds arrived with a force of 2,164 men including Foreign Legionnaires, engineers and these forces were armed with the new Lebel rifles, which would prove decisive in the coming battle. The French protectorate kingdom of Porto-Novo added some 2,600 porters to aid in the fight, the Fon, prior to the outbreak of the second war, had stockpiled between 4,000 and 6,000 rifles including Mannlicher and Winchester carbines. These were purchased from German merchants via the port of Whydah, King Béhanzin bought some machine-guns and Krupp cannons, but it is unknown that these were ever put to use. On June 15,1892, the French blockaded Dahomeys coast to prevent any further arms sales, then, on July 4, the first shots of the war were fired from French gunboats with the shelling of several villages along the lower Ouémé Valley. The carefully organized French army began moving inland in mid-August toward their destination of the Dahomey capital of Abomey. The French invasion force assembled at the village of Dogba on September 14, some 50 miles upriver on the border of Dahomey, at around 5 a. m. on September 19, the French force was attacked by the army of Dahomey. The Fon broke off the attack after three to four hours of fighting, characterized by repeated attempts by the Fon for melee combat. The Colony of Natal was a British colony in south-eastern Africa. It is now the KwaZulu-Natal province of South Africa, fierce conflict with the Zulu population led to the evacuation of Durban, and eventually the Boers accepted British annexation in 1844 under military pressure. 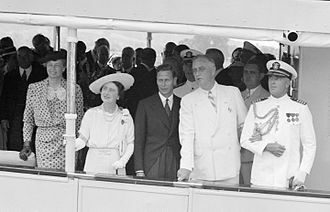 A British governor was appointed to the region and many emigrated from Europe. The British established a sugar industry in the 1860s. Farm owners had a difficult time attracting Zulu labourers to work on their plantations, as a result of the importation of Indian labourers, Durban became the home to the largest concentration of Indians outside of India. In 1823 Francis Farewell, formerly a lieutenant in the British navy, with merchants of Cape Town. In the brig Salisbury, commanded by James S. King, the voyage was not successful as a trading venture, but Farewell was so impressed with the possibilities of Natal both for trade and colonization that he resolved to establish himself at the port. He went on with ten companions, among them Henry Francis Fynn, all the rest save Farewell and Fynn speedily returned to the Cape, but the two who remained were joined by three sailors, John Cane, Henry Ogle and Thomas Holstead. On the 27th of the same month Farewell declared the territory he had acquired a British possession, Farewell and Fynn made independent settlements at various parts of the bay. Both Dr Smith and Uys travelled overland through Kaffraria, and were received by the English living at the bay. The next step was taken by the settlers at the port, who in 1835 resolved to lay out a town, to all these requests no official answer was returned. The settlers had joined in the year named by Allen Francis Gardiner. With the support of the traders he founded a station on the hill overlooking the bay. In 1837 Gardiner was given authority by the British government to exercise jurisdiction over the traders and they, refused to acknowledge Gardiners authority, and from the Cape government he received no support. The next wave of immigration consisted of Voortrekkers fleeing British rule in Cape Colony, in May 1838 the Boers took control of the port and soon afterwards established the Natalia Republic. The Republic suffered from disorganized government and poor relations with the Zulus, on 2 December 1841, Sir George Thomas Napier, governor of Cape Colony, issued a proclamation declaring his intent to resume British military occupation of Port Natal. The First Italo-Ethiopian War was fought between Italy and Ethiopia from 1895 to 1896. It originated from a treaty which, the Italians claimed, turned the country into an Italian protectorate. 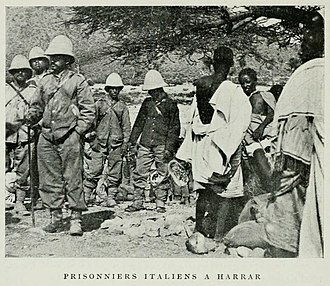 Full-scale war broke out in 1895, with Italian troops having initial success until Ethiopian troops counterattacked Italian positions and besieged the Italian fort of Meqele, forcing its surrender. Italian defeat came about after the Battle of Adwa, where the Ethiopian army dealt the heavily outnumbered Italians a decisive loss and forced their retreat back into Eritrea. This was not the first African victory over Western colonizers, according to one historian, In an age of relentless European expansion, Ethiopia alone had successfully defended its independence. 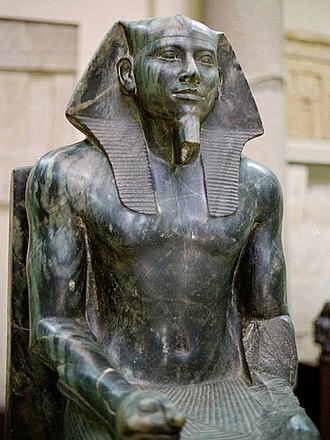 The Khedive of Egypt Ismail Pasha, Ismail the Magnificent had conquered Eritrea as part of his efforts to give Egypt an African empire, Ismail had tried to follow that conquest with Ethiopia, but the Egyptian attempts to conquer that realm ended in humiliating defeat. Egypt had very much in the French sphere of influence until 1882 when Britain occupied Egypt. The opening of the Suez Canal in 1869 had turned the Horn of Africa into a strategic region as a navy based in the Horn could interdict any shipping going up. 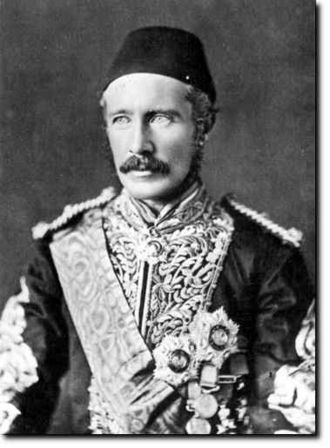 By building naval bases on the Red Sea that could intercept British shipping in the Red Sea, the French hoped to reduce the value of the Suez Canal for the British, and thus lever them out of Egypt. On 3 June 1884, a treaty was signed between Britain and Ethiopia that allowed the Ethiopians to occupy parts of Eritrea and allowed the Ethiopian goods to pass in and out of Massawa duty-free. After initially encouraging the Emperor Yohannes IV to move into Eritrea to replace the Egyptians, in 1882, Italy had joined the Triple Alliance, allying herself with Austria and Germany against France. On 5 February 1885 Italian troops landed at Massawa to replace the Egyptians, the Italian government for its part was more than happy to embark upon an imperialist policy to distract its people from the failings in post Risorgimento Italy. The wars were mainly due to Ashanti attempts to establish strong control over the coastal areas of what is now Ghana. Coastal peoples, such as the Fante and the inhabitants of Accra, in the Ga-Fante War of 1811, the Akwapim captured a British fort at Tantamkweri and a Dutch fort at Apam. In the Ashanti-Akim-Akwapim War of 1814–16 the Ashanti defeated the Akim-Akwapim alliance, local British and Danish authorities all had to come to terms with the Ashanti. The African Company of Merchants was dissolved in 1821 and the British assumed control of the Gold Coast, by the 1820s the British had decided to support one of the other tribes, the Fanti, enemies of the Ashanti. Inland, the Ashanti kings who ruled from the Golden Stool, said to have come from their great god guardian of the Ashanti soul, Nyame and social friction played their part in the causes for the outbreak of violence. The immediate cause of the war happened when a group of Ashanti kidnapped and murdered an African sergeant of the Royal African Corps, a small British group was led into a trap which resulted in 10 killed,39 wounded and a British retreat. 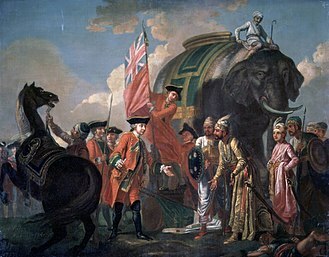 The Ashanti tried to negotiate but the British governor, Sir Charles MacCarthy, rejected Ashanti claims to Fanti areas of the coast and this started the First Anglo-Ashanti War which ran until 1831. 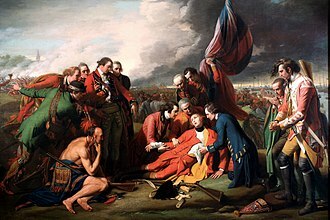 The British were overrun, suffered losses, and ran out of ammunition, almost all the British force were killed immediately, only around 20 managed to escape. MacCarthy, along with the ensign and his secretary, attempted to back, he was wounded by gunfire, however. 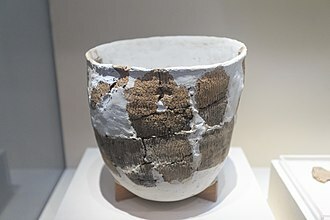 Ensign Wetherell was killed whilst trying to defend MacCarthys body and Williams taken prisoner, mcCarthys gold-rimmed skull was used as a drinking-cup by the Ashanti rulers. 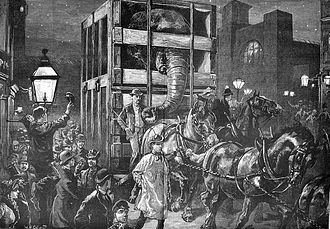 On Mr Williamss recovering his senses, he saw the headless trunks of Sir Charles McCarthy, Mr Buckle, and Ensign Wetherell. During his captivity he was lodged under a shed in the same rooms as the heads which. Major Alexander Gordon Laing returned to Britain with news of their fate, the Ashanti swept down to the coast, but disease forced them back. The new governor of the Gold Coast, John Hope Smith, started to gather a new army, mainly comprising natives, including Denkyiras, in August 1826 the governor heard that the Ashanti were planning on attacking Accra. The physical borders of the Transvaal Colony were not identical to the defeated South African Republic, but was larger. In 1910 the entire territory became the Transvaal Province of the Union of South Africa, both the Boer republics, the South African Republic known as ZAR and the Orange Free State were defeated in the Anglo Boer War and surrendered to Britain. That all burghers so surrendering will not be deprived of their property No Civil or Criminal proceedings against burghers for acts of war, the Commission would feed the homeless and assist with the reconstruction of homes affected by the war. To that end, the crown agrees to a grant of £3,000,000 as well as loans at no interest for two years to be repaid at 3 percent interest over years thereafter. In 1902, with following the signing of the Treaty of Vereeniging. The political issue faced depended on what side of politics you stood on, the existing British administrators under Alfred Milner wished to anglicise the population through two main means. One by increasing the English speaking population of the Transvaal and secondly teach the Boer children in English with very little Dutch used, followed by self-rule, the Transvaal Boers political objectives was the restoration of self-rule in the colony and the political environment to be dominated by the Boer. As the war ended the British were faced with a proportion of Boer men as prisoners of war. As the British followed a scorched earth policy in the Transvaal, Boer lands, roman Dutch law was translated into English so the law courts could continue, with some old acts repealed and a considerable amount of new law promulgated by the authorities in Johannesburg. The Resident Magistrate submitted the names of three members of the district to the Governor for district commission under the magistrate. They would consist of one British subject, and two Boers, one from those who had surrendered early on in the war and one who had fought until the end. 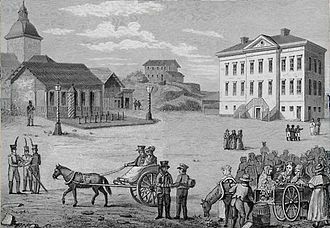 Repatriation depots were established in the districts and they were stocked with food, agricultural equipment, plough animals and stone, the rail transport network struggled to compete with the transport of army requirement to maintain a garrison and civilian requirements to repair the colony. Petrus Jacobus Joubert, better known as Piet Joubert, was Commandant-General of the South African Republic from 1880 to 1900. Joubert was born in the district of Prince Albert, British Cape Colony, left an orphan at an early age, Joubert migrated to the Transvaal, where he settled in the Wakkerstroom district near Laings Nek and the north-east angle of the Colony of Natal. There he not only farmed with great success, but turned his attention to the study of the law. He was in command of the Boer forces at Laings Nek, Ingogo, in 1883 he was a candidate in the Transvaal presidential election, but received only 1,171 votes as against 3,431 cast for Kruger. The poll was declared to have resulted in 7911 votes being cast for Kruger and 7246 for Joubert, after a protest Joubert acquiesced to Krugers continued presidency. He stood again in 1898, but the Jameson raid had occurred meantime, Jouberts position had become much weakened by accusations of treachery and of sympathy with the Uitlander agitation. It is the historical precursor to the present-day Free State province. In the northern part of the territory a Voortrekker Republic was established at Winburg in 1837 and this state was in federation with the Republic of Potchefstroom which formed part of the South African Republic. The new republic incorporated the Orange River Sovereignty and included the traditions of the Winburg-Potchefstroom Republic and it ceased to exist as an independent Boer republic on 31 May 1902 with the signing of the Treaty of Vereeniging at the conclusion of the Second Anglo-Boer War. Following a period of rule by the British, it joined the Union of South Africa in 1910 as the Orange Free State Province, along with the Cape Province, Natal. In 1961, the Union of South Africa became the Republic of South Africa. The republics name derives partly from the Orange River, which in turn was named in honour of the Dutch ruling royal family, the official language in the Orange Free State was Dutch. Europeans first visited the north of the Orange River towards the close of the 18th century. At that time, the population was sparse, early in the 19th century Griquas established themselves north of the Orange. Between 1817 and 1831, the country was devastated by the chief Mzilikazi and his Matabele in the known as the Mfecane. Up to this time the few Europeans who had crossed the Orange had come mainly as hunters or as missionaries and they were followed in 1836 by the first parties of the Great Trek. These emigrants left the Cape Colony for various reasons, but all shared the desire to escape from British authority. When Boer families first reached the area discovered that it had been devastated by a section of the Zulu tribe under Mzilikazi and his people. The Matebele had swept the country, destroying the fields, carrying off the cattle, the Boers soon came into collision with Mzilikazis raiding parties, which attacked Boer hunters who crossed the Vaal River. 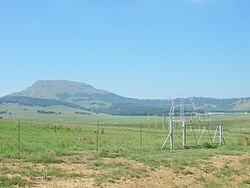 Reprisals followed, and in November 1837 the Boers decisively defeated Mzilikazi, in the meantime another party of Cape Dutch emigrants had settled at Thaba Nchu, where the Wesleyans had a mission station for the Barolong. Major-General Sir George Pomeroy Colley KCSI CB CMG was a British Army officer who became Governor and Commander-in-Chief of Natal and High Commissioner for South Eastern Africa. 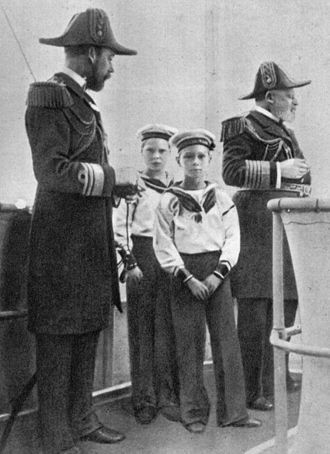 He was third and youngest son of the Hon. George Francis Pomeroy of Ferney, dublin, by his wife, third daughter of Thomas Trench, dean of Kildare, and was grandson of John Pomeroy, 4th Viscount Harberton. After two years service with the depot, he was promoted to a lieutenancy without purchase, and joined the headquarters of his regiment, in 1857-8 he held a border magistracy at the Cape, and showed great energy. On one occasion he received notice from the governor, Sir George Grey and he was employed to execute a survey of the Trans-kei country, a dangerous service in the disturbed state of Kaffirland. His regiment went home, and he returned for a period to the Cape to complete his work there. He came out at the head of the list the same year, Colley was an accomplished artist in water-colours, and spent much of his leave in sketching tours on Dartmoor, in Normandy and other places. He was in the habit of rising early, and securing always two hours before breakfast time for special study. He thus acquired the Russian language, and studied chemistry, political economy, in recognition of his services he was promoted to a brevet-majority on 6 March 1863. After serving for years as major of brigade at Plymouth. While there he wrote the article Army, extending over sixty pages and he was engaged on this work from June to November 1873. The last portion of the manuscript was sent in a few days before the author, now a lieutenant-colonel and he became part of the Africa Ring. 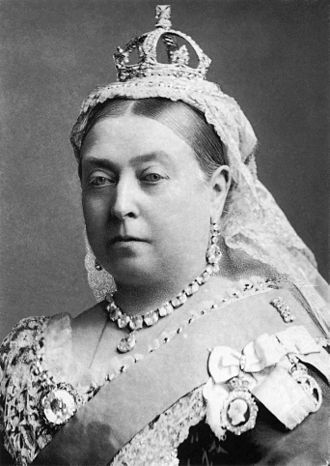 When Lord Lytton was appointed viceroy of India, early in 1876 and this appointment was subsequently exchanged for the higher one of private secretary to the viceroy. It is no secret that in this capacity Colley exercised great influence in the events led to the occupation of Kabul. Colley, who had received the distinctions of C. B. and C. M. G. was created K. C. S. I. in recognition of his services in India. Sketch of unknown soldier. Southern African militiaman – possibly Cape Colony Khoi khoi or Boer – with an after-rider and two horses in support. Depiction of Burnham and Armstrong after the assassination of Mlimo. Matabele warriors in hot pursuit, drawn by Frank Dadd. The Sultan's harem after the bombardment. The assassination of lieutenant-colonel Klobb. Voulet's and Chanoine's graves near the village of Maijirgui, Niger. Photo taken 1906. French newspaper view of the death of Lamy, surrounded by Senegalese Tirailleurs. Dahomey warriors firing at the gunboat "Topaze".